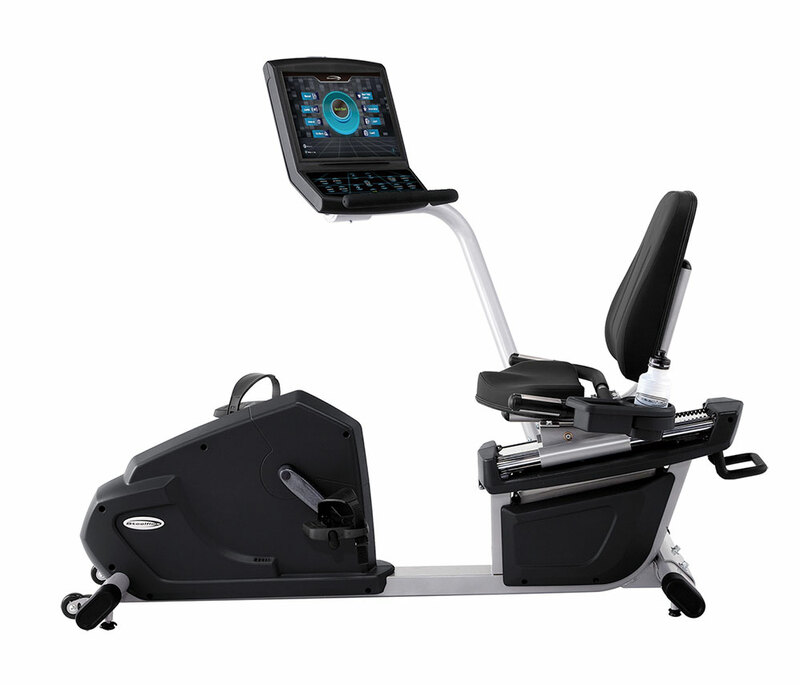 The Steelflex CR2 commercial recumbent bike with 15"LCD Screen offers the exclusive swing arm design which allows easy access to users of all sizes. When the swing arm is moved to the right, the user has an unobstructed forward view, yet still can easily see and operate the controls. Positions from directly in front of user, all the way to 45 degrees to the right of the user. Seat adjusts from the center of crank arm to front of seat, starting at 16" to a maximum of 28".